These new NASA/ESA Hubble Space Telescope images capture a rare occurrence as three of Jupiter’s largest moons parade across the giant gas planet’s banded face. 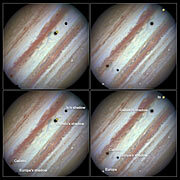 Hubble took a string of images of the event which show the three satellites — Europa, Callisto and Io — in action. 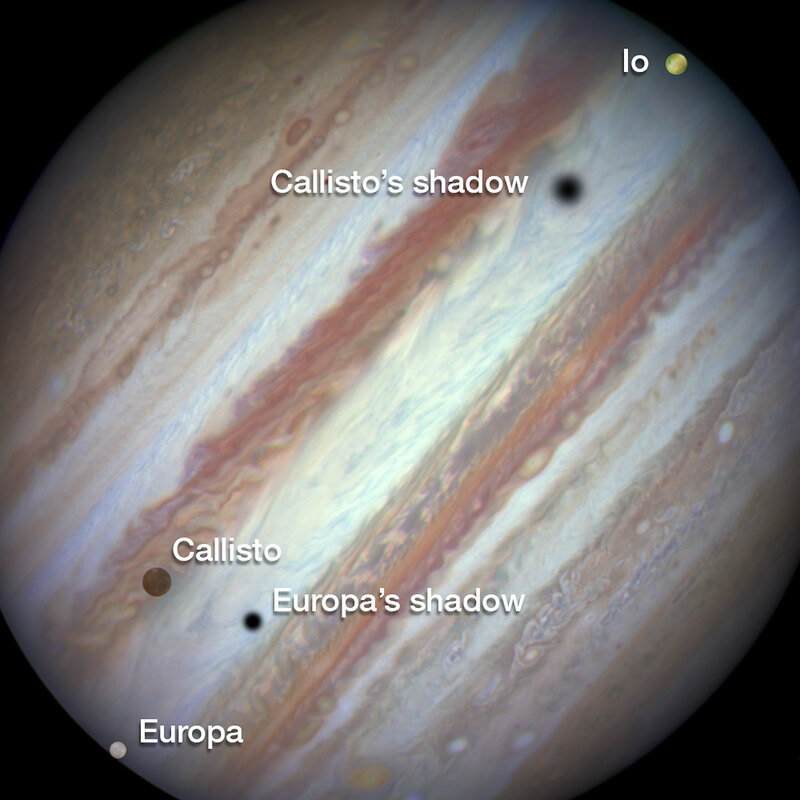 There are four Galilean satellites — named after the 17th century scientist Galileo Galilei who discovered them . They complete orbits around Jupiter ranging from two to seventeen days in duration. The moons can commonly be seen transiting the face of Jupiter and casting shadows onto its layers of cloud. However, seeing three of them transiting the face of Jupiter at the same time is rare, occurring only once or twice a decade. 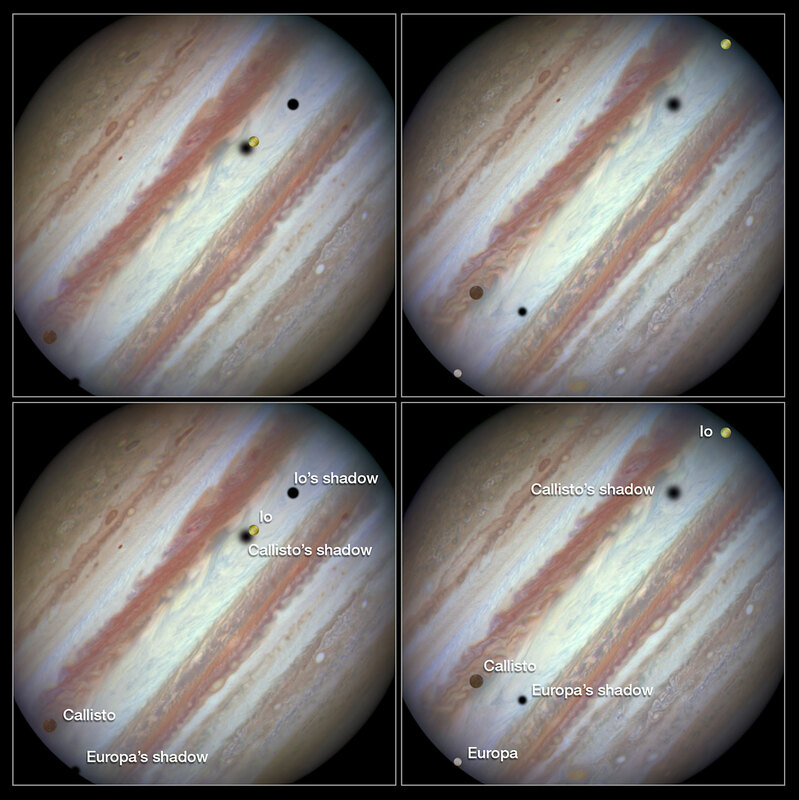 The image on the right shows the end of the event, just over 40 minutes later. Europa has entered the frame at lower left with slower-moving Callisto above and to the right of it. 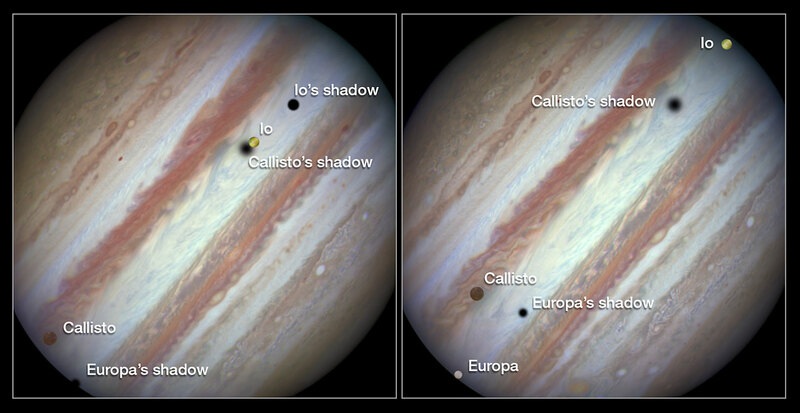 Meanwhile Io — which orbits significantly closer to Jupiter and so moves much more quickly — is approaching the eastern limb of the planet. Whilst Callisto’s shadow seems hardly to have moved, Io’s has set over the planet’s eastern edge and Europa’s has risen further in the west. The event is also shown from start to finish in a video.